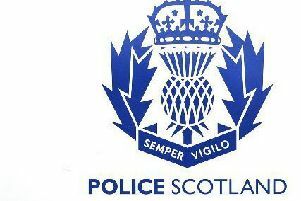 Scottish police officers received £7.7 million in bonuses in the last year, £160,000 more than last year. More than 7000 officers ranked up to superintendent qualified for bonuses by filling in a lengthy form. And a police source said: “It isn’t hard to qualify for these payments - it is easy money, really. Officers at the top of their rank’s pay scale qualified for payments of £1248 if they “committed to achieving high levels of attendance” and displayed sufficient commitment to “police service values” and “health and safety”. They are also asked to “promote equality and diversity”, “demonstrate an openness to change” and “contribute to the Police Service’s response, recognising the needs of all relevant communities” in order to get the money. The figures were revealed under Freedom of Information legislation, and come in a week when the service was heavily criticised over its call-handling, and follow the publication of figures showing that Police Scotland has a £25 million overspend. The figure paid out by Police Scotland in competency related threshold payments - known as CRTP - has soared by more than £1.5 million in the last five years. In that time other bonus payments, such as “special priority payments” handed out to officers deemed to have “demanding” jobs, have been scrapped saving millions of pounds a year. But the number of officers qualifying for CRTP has soared - from 5275 in 2009/10 to 7186 last year, with payments jumping from £6,121,666.01 to £7,712,236.60 last year. Jonathan Isaby, chief executive of the TaxPayers’ Alliance, said: “Exceptional performance should be rewarded to drive up standards, but taxpayer-funded bonuses shouldn’t be dished out as a way to top up pay.